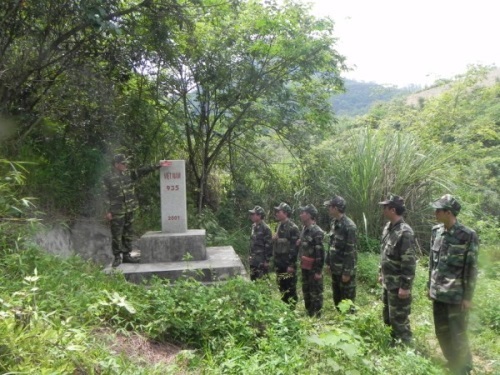 For Cao Bang provincial border guard, the implementation of Directive No. 5-CT/TW by the Politburo (12th tenure) is not merely a political task, but indicative of a special sentiment towards Uncle Ho, and a great honour and responsibility to preserve and uphold historical values and revolutionary tradition of the province, where Uncle Ho chose as a revolutionary base following over 30 years of travelling widely away from home in the 1941-1945 period. Imbued with that tradition, the Cao Bang provincial border guard Party Executive Committee and High Command have seriously grasped and executed Directive No. 5-CT/TW by the Politburo on accelerating the study and following of Uncle Ho’s thought, morality, and lifestyle via wide-ranging effective solutions in line with its affiliates’ particularities and its borderline features alike. For the sake of widespread effectiveness, drawing upon experience from the implementation of Directive No. 3-CT/TW by the Politburo (11th tenure), the Cao Bang provincial border guard Party Executive Committee and High Command (hereafter the PBPC and PBHC respectively) have always upheld the role of party executive committees, commandants, and party organizations at all levels in directing and promoting awareness and a sense of responsibility among cadres and soldiers; proactively concretized moral norms of “studying and “following” in line with every specific subject while instructing their affiliates’ party organs, a pool of cadres and party members to formulate their own plans in an active and synchronous fashion. Subsequently, grounded in Directive No. 5 by the Politburo and the directions of the Provincial Party Executive Committee and Vietnam’s Border Guard Party Executive Committee, the PBPC issued Schedule No. 560- KH/ĐU on studying and executing the theme of fundamental contents of Uncle Ho’s thought, morality, and lifestyle within the PBPC; instructed its affiliates to organize widespread political meetings concerning the study and following of Uncle Ho’s thought, morality, and lifestyle with a focus on briefing significance, objective, requirements and contents of Directive No. 5, and norms and solutions of the Schedule No. 235-KH/ĐU by the PGPC on accelerating the study and following of Uncle Ho’s thought, morality, and lifestyle to all cadres, party members and the masses. In addition to enhancing the work of propagation and introduction of higher authorities’ study themes, the PBHC drew up the Schedule No. 351/KH-BCH, and instructed its 19 affiliates to hold dialogues on accelerating the study and following of Uncle Ho’s thought, morality, and lifestyle, deserving to be Uncle Ho’s soldiers in the new situation, pulling in 1.300 cadres, soldiers, and representatives from their twinning units, thereby enabling cadres and soldiers to be imbued with Uncle Ho’s thought, morality, and lifestyle and promoting their sense of duties and responsibilities. Previously, the realities of introducing the study and following of Uncle Ho’s thought, morality, and lifestyle showed that several party organs within the PBPC designed some simple contents and solutions as evidenced by mismatch between the “study” and the “following”. Some units encountered difficulties in making plans for the “following”. To redress those shortcomings, the PBPC has instructed party executive committees, commandants, and party organizations at all levels to focus on devising plans for executing Directive No. 5 via highly feasible and appropriate norms and solutions to their offices and units’ particularities whilst proactively concretizing contents of Directive No. 5 through moral norms of studying and following Uncle Ho’s thought, morality, and lifestyle as a basis for self-improvement amongst cadres and soldiers. Accordingly, in addition to Directive No. 5’s supplementary contents of norms for morality, lifestyle, working style, and responsibility for a pool of cadres and key cadres at levels, the PBPC has added norms for creativity, responsibility, and model role-setting towards members of party executive committees; norms for “attaching to grassroots units” towards cadres and party members in offices; and norms for “sticking to and assisting people” towards cadres and soldiers at grassroots units. Grounded in the PBPC’s directions, offices and units have actively instructed cadres, party members and the masses to register to strive for studying and following Uncle Ho in line with their duties and responsibilities while closely combining the implementation of Directive No. 5 with that of Resolution of the 4th Plenum of the Party Central Committee (12th tenure) and including contents of studying and following Uncle Ho’s thought, morality, and lifestyle both in action programs and plans for executing resolutions of all-level party congresses in the 2015-2020 tenure and in monthly leadership resolutions by party organs. Infused with President Ho Chi Minh’s thought and teachings “Cadre work is at the root of all issues”; “leadership cadres must always lead by example on all fronts, and be a shining example of revolutionary virtues”, the PBPC and PBHC have paid special attention to promoting pioneering and model role-setting responsibilities amongst cadres and party members, especially key cadres at all levels in executing Directive No. 5 as a determining factor in the study and following of Uncle Ho’s thought, morality, and lifestyle. Under the motto “the higher echelons set an example to the lower ones” and “matching words with deeds”, the PBPC and PBHC have required that key cadres set an example to their units; party members set an example to the masses; “it is more important to walk the walk than to talk the talk”. Besides, the PBPC has enhanced the work of inspection and supervision towards the execution of Directive No. 5 in a bid to opportunely redress the shortcomings and cursory practices. For the sake of further widespread efficiency, the PBPC has always paid due regard to properly carrying out preliminary assessment in an effort to unearth and spread outstanding individuals who report their achievements at Uncle Ho’s Memorial House in Pac Bo historical relic site on a yearly basis. In particular, the PBHC has issued the Plan No.768/KH-BCH, dated 25-5-2017 on launching a writing contest entitled “ the Youth of the Cao Bang Provincial Border Guard study and follow Uncle Ho’s thought, morality, and lifestyle, thereby imparting initial results of the execution of Directive No. 5 in close alignment with the Campaign “promoting tradition, devoting talents, deserving to be Uncle Ho’s soldiers”. Unified and close leadership and directions as well as highly feasible and appropriate solutions have enabled the implementation of Directive No. 5 to become an effervescent movement amongst offices and units within the Cao Bang provincial Border Guard, thereby giving a fresh impetus to building strong and pure party organizations and comprehensively strong PBPC, successfully satisfying assigned tasks. Studying and following Uncle Ho has seen streamlined party organizations and enhanced leadership capability and combat strength amongst all-level party executive committees, especially at grassroots level within the PBPC. 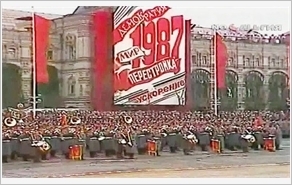 Party executive committees and party organizations have properly carried out the work of political ideological education and internal political protection; proactively precluded and combatted manifestations of “self-evolution” and “self-transformation” and deterioration in political ideology, morality, and lifestyle amongst cadres, party members, and the masses. As regards the execution of political tasks, the PBHC has counselled Vietnam’s Border Guard Party Executive Committee and High Command and the Provincial Party Executive Committee and People’s Committee to manage and safeguard national border sovereignty and security, and build comprehensively strong boundary areas through effective solutions and policies while synchronously carrying out the work of border governance on all fronts ranging from firmly managing and safeguarding territorial sovereignty to effectively fighting types of crimes, illegal smuggling, fraudulent trading, and maintaining political security and social order in the provincial boundary areas. The provincial Border Guard also has worked with provincial departments, sectors, agencies, and mass organizations to adequately implement the work of people’s diplomacy as well as military and border guard diplomacy. Units within the provincial Border Guard have cooperated with Chinese Border Security Forces in holding bilateral dialogues, exchanges, patrol, and twinning programmes “friendly Border Posts- Border Stations, peaceful boundary”, thereby building boundary areas for peace, friendship, cooperation, and development. Following Uncle Ho’s thought, morality, and lifestyle, the Provincial Border Guard has always proactively counselled local party executive committees and government in boundary communes and townships to combine reinforced defence and security with the building of strong political organizations, socioeconomic and cultural development, and eradication of hunger and alleviation of poverty. In the face of seemingly insurmountable difficulties, border guard cadres and soldiers have carried out the work of mass mobilization towards ethnic minorites in boundary villages and hamlets under the motto “three togethers” (eating together, living together, and working together), provided them with new cultural values and healthcare services, and assisted them in relief efforts, etc. Dozens of border guard cadres have been detached to assume positions of head or deputy head of party executive committees and governments in boundary communes and townships; hundreds of party members belonging to border guard posts have been detached to temporarily participate in boundary villages and hamlets’ party cells, thereby contributing to consolidated grassroots political system. In addition, the Provincial Border Guard has effectively implemented some movements, programs, and campaigns, namely “Houses for the destitute in boudary areas”; “Border Guard Force makes joint effort to build new-type rural areas; “Giving cows away to the destitute in boundary areas”; “offering financial assistance to schoolchildren”; “the Cao Bang provincial Border Guard with gratitude-repaying activities in boundary areas”. Notably, concerning the movement “Border Guard Force makes joint effort to build new-type rural areas”, in January 2016, the Provincial Border Guard devised a model in which every border guard post was assigned a task of persuading a village not to keep their cattle under houses-on-stilts, and lifting 1 or 2 households out of poverty sustainably. Up to now, all the border guard posts have persuaded 82 households in 16 villages and hamlets not to keep their cattle beneath houses-on-stilts and lifted 18 households out of poverty sustainably. Those results have been highly lauded by local party executive committees and governments and people. Far from complacent about attained results, in the coming time, the Provincial Border Guard will continuously promote its tradition, and accelerate the implementation of Directive No. 5 by the Politburo via highly practical solutions, creating new momentum to comprehensively strong Provincial Border Guard with enhanced overall quality and combat strength, thereby firmly managing and safeguarding national border security sovereignty in the new situation.